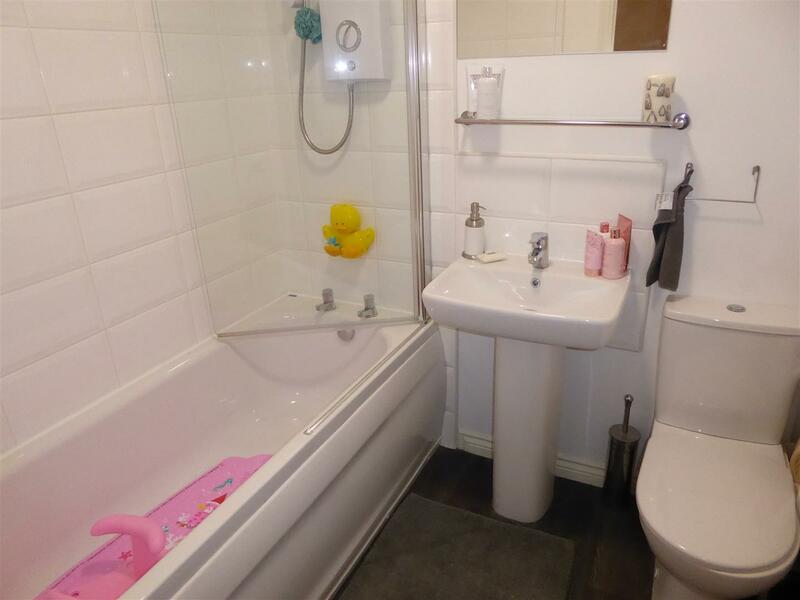 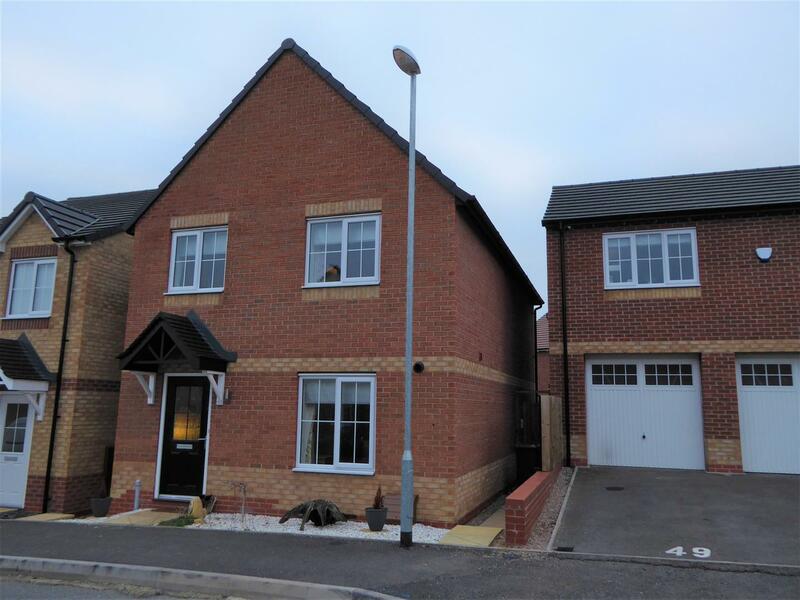 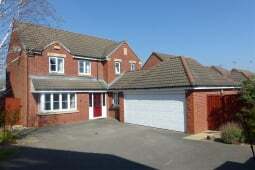 The property is situated on the Taylor Wimpey estate in Woodville, just off Hepworth Road. 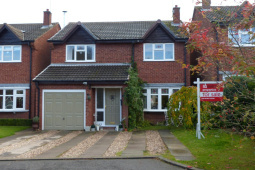 There are schools within walking distance or a short car journey, local parks and countryside walks. 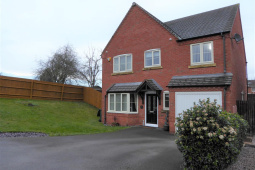 Woodville is well placed for the commuter with excellent road links to the towns of Burton upon Trent, Ashby de la Zouch and Derby, the M42 and A38 are also easily accessible in turn leading to the major cities of Birmingham and Nottingham. 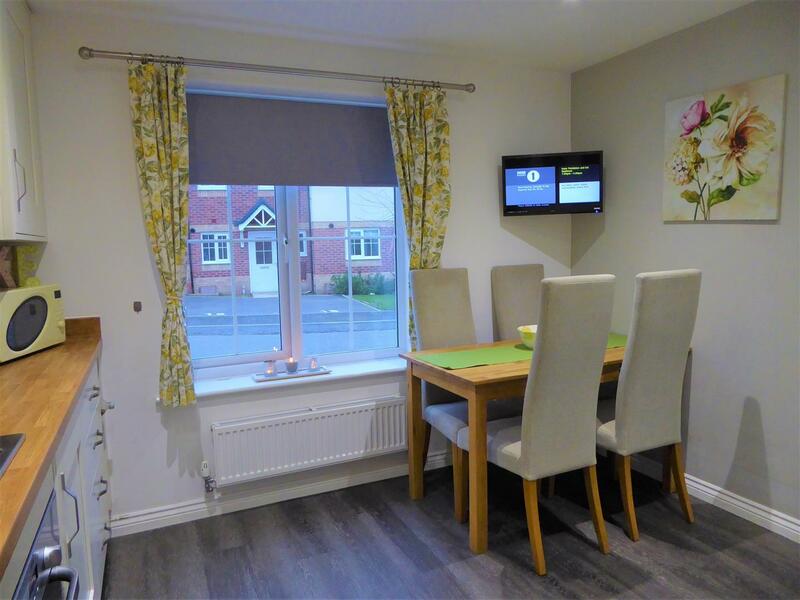 Woodville itself has excellent local amenities including doctors surgery, Chemist, hairdressers, local DIY store, garage, convenience stores, newsagents, many eateries and Post office. 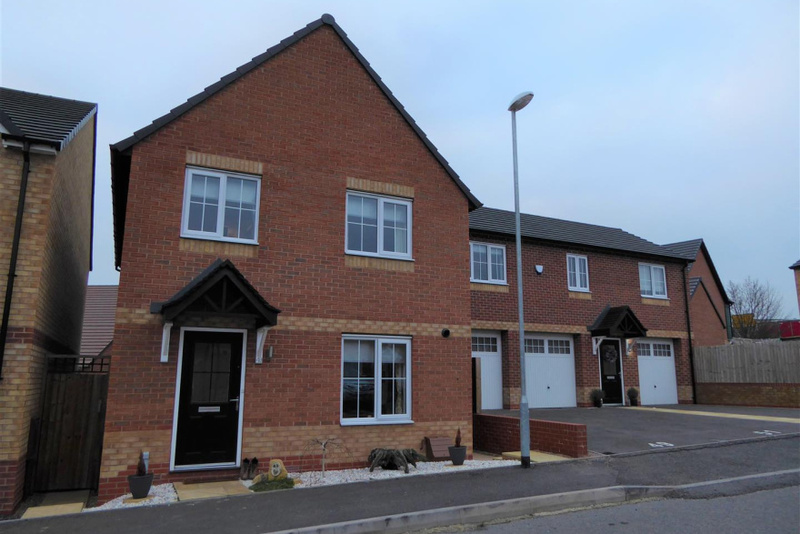 The area is well equipped with schools, all within close proximity, Woodville Primary having an excellent Ofstead Report on High Street and Granville Academy on Burton Road. 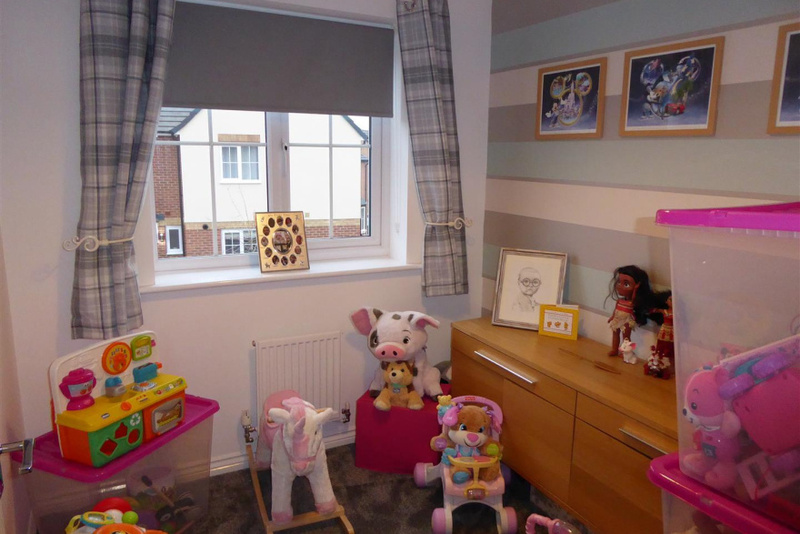 More comprehensive shopping is available at Swadlincote or Ashby-de-la-Zouch. 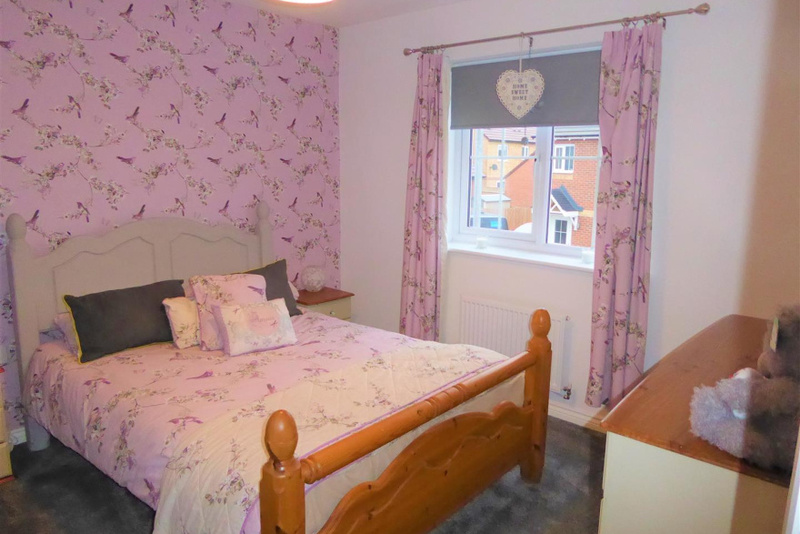 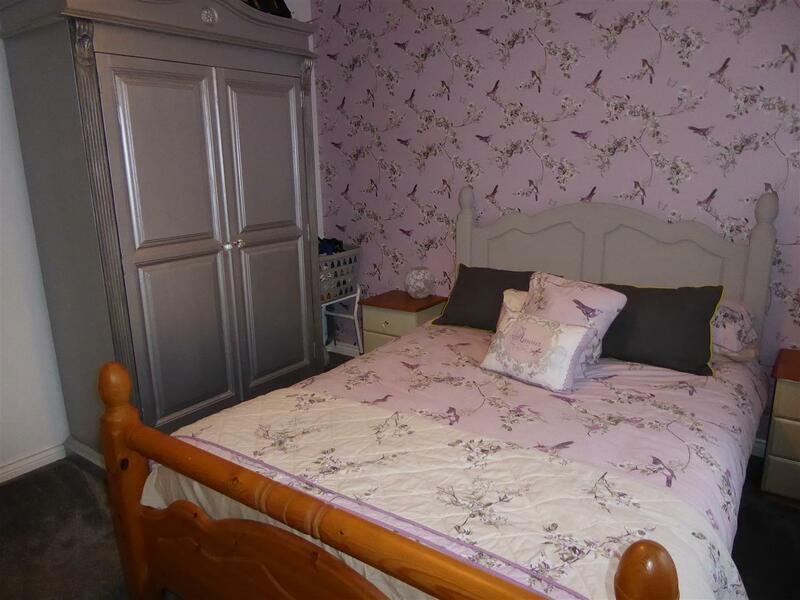 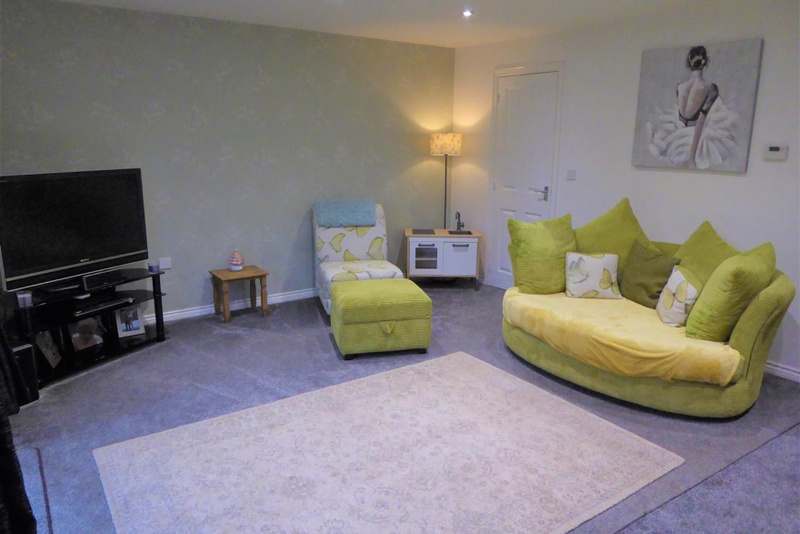 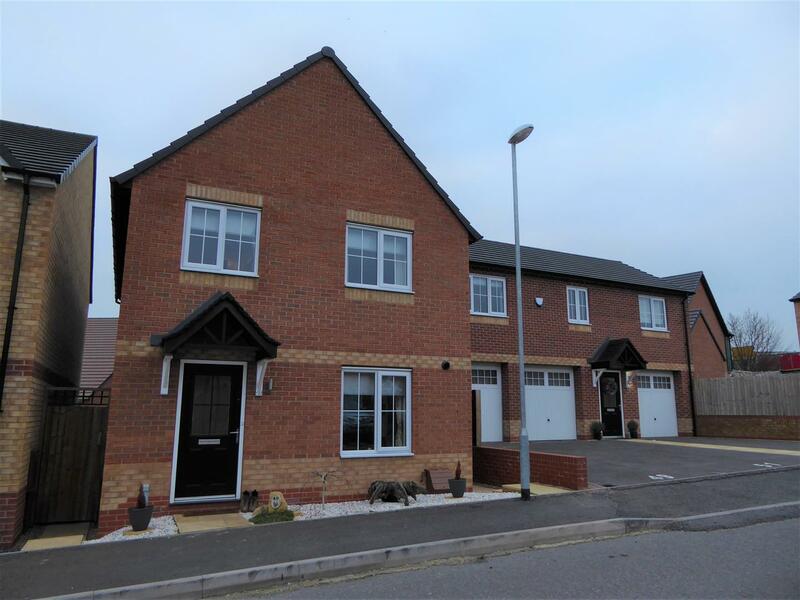 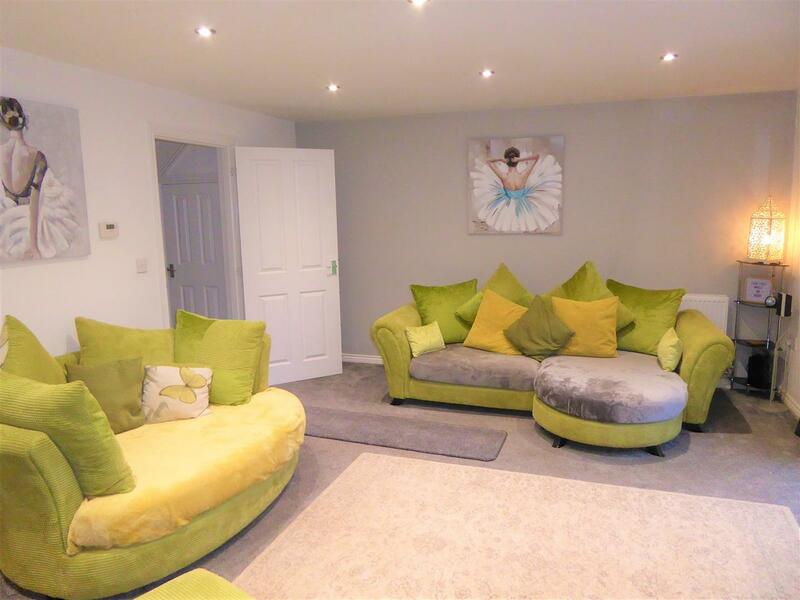 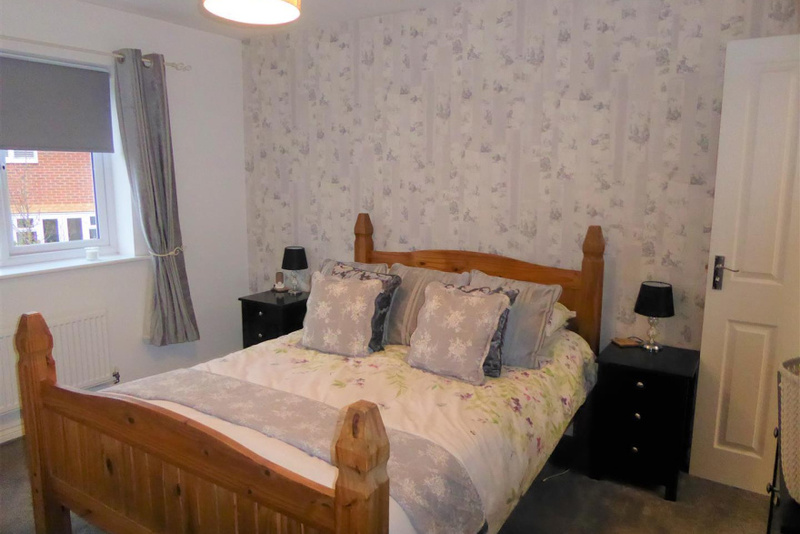 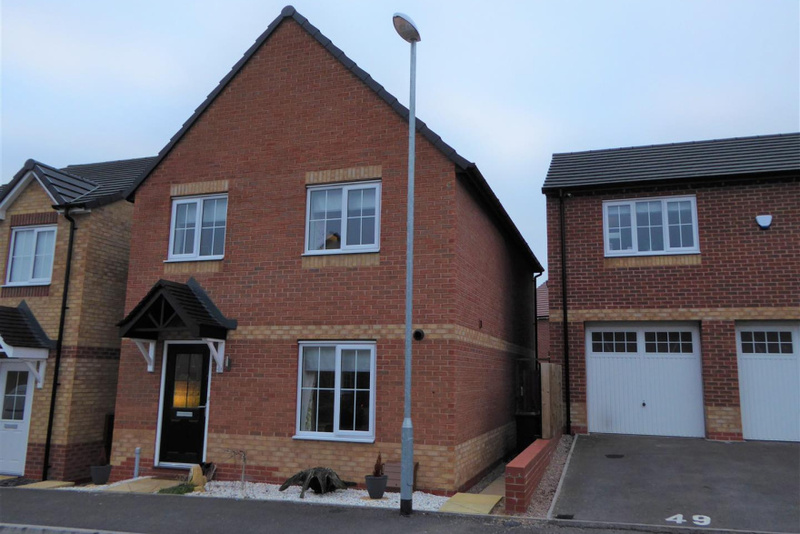 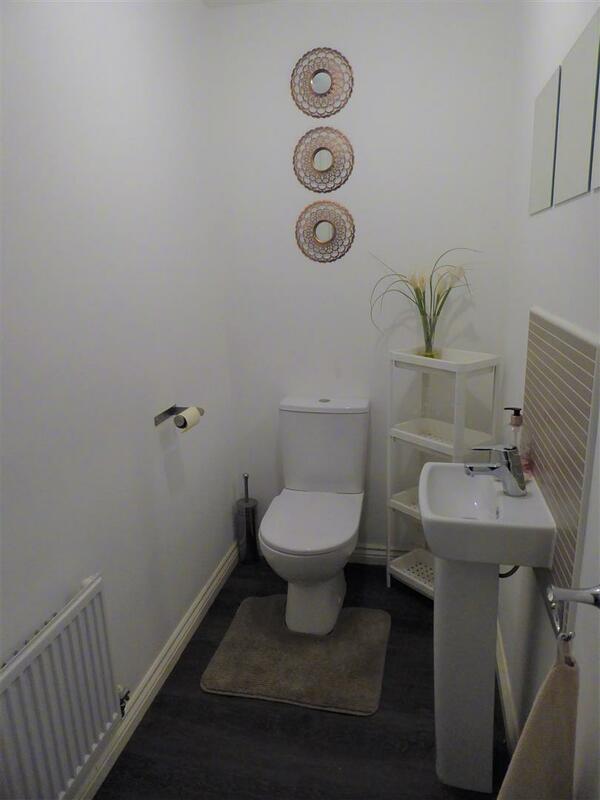 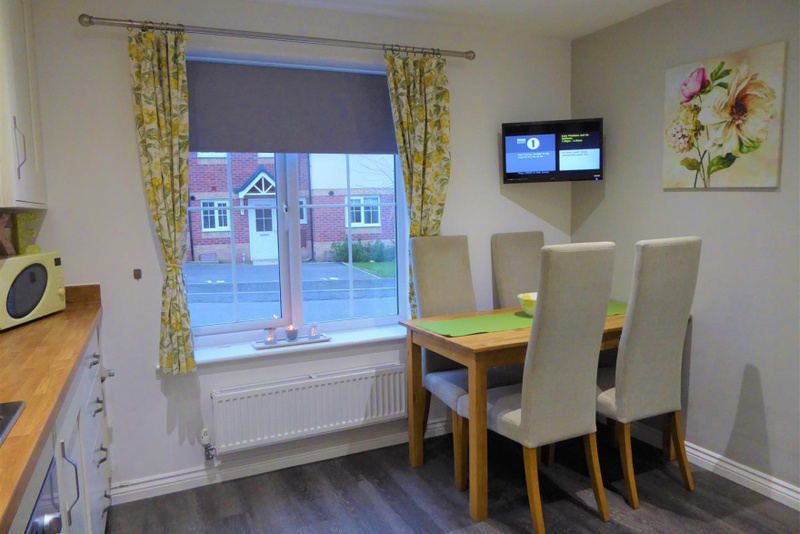 Swadlincote is approximately half a mile away and provides excellent amenities. 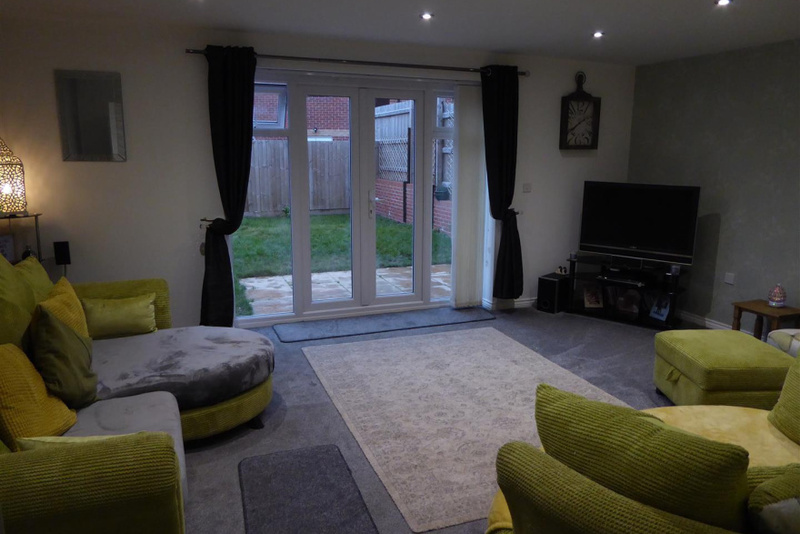 A modern, very well equipped family home, this property has uPVC double glazing and gas central heating throughout. 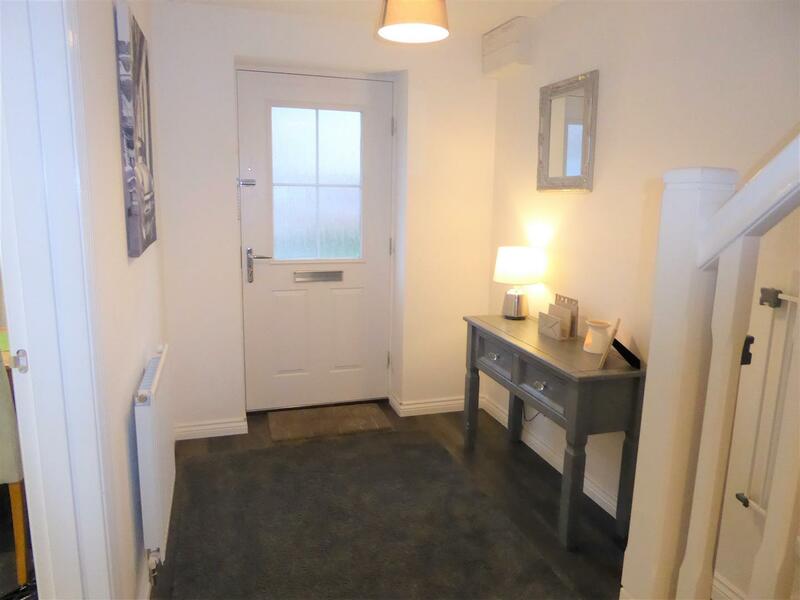 A front door with attractive storm canopy over, provides access to an impressive sized entrance hall with access to the guest WC, with two piece, stairs lead off to the first floor and doors to the ground floor accommodation. 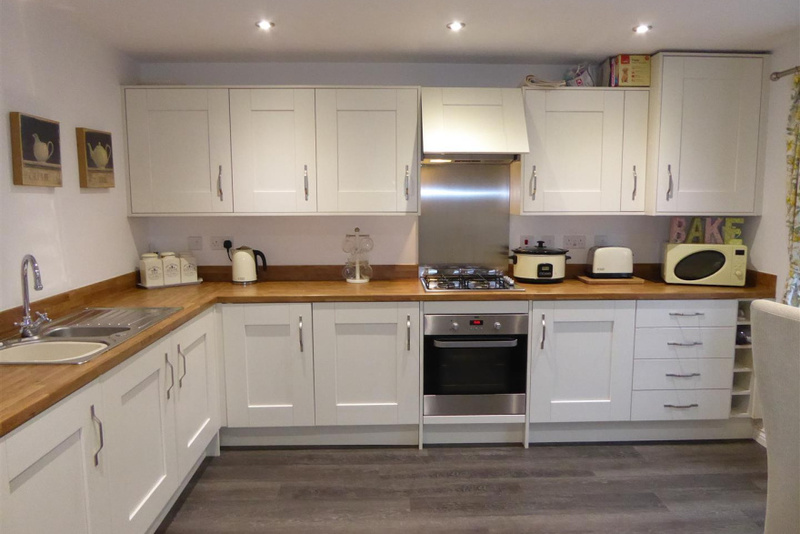 The first room off to the right is the splendid fitted Kitchen/Diner, having had an upgrade with the Builder, which includes additional high quality wall and floor mounted cream coloured units, space for appliances, built in gas hob, electric oven, with extractor hood overhead. 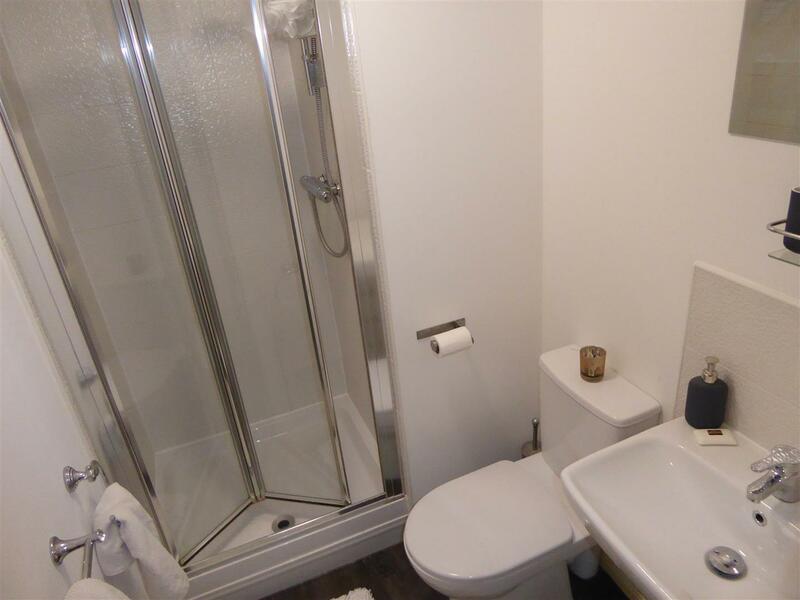 There are ample work surface areas with inset 1.5 bowl sink unit with mixer tap over, a door back onto the hallway. 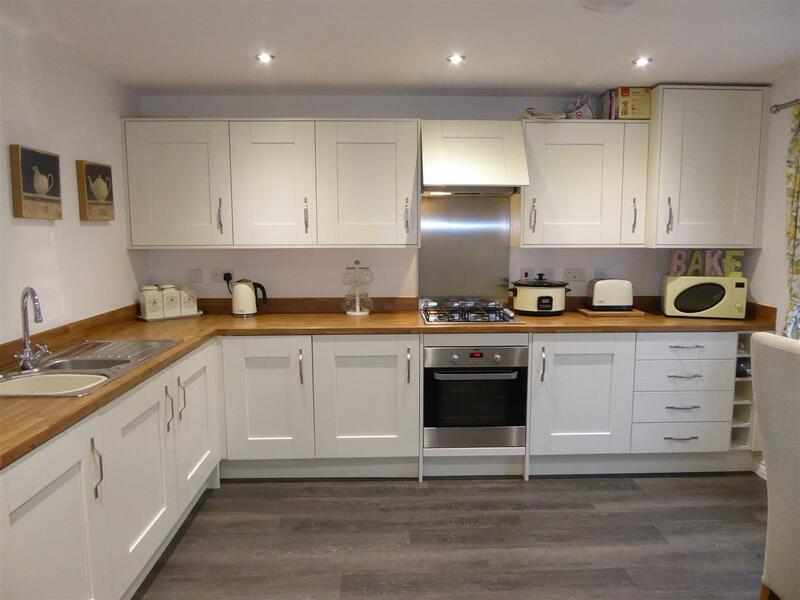 The kitchen is located to the front of the property and enjoys ample space for dining. 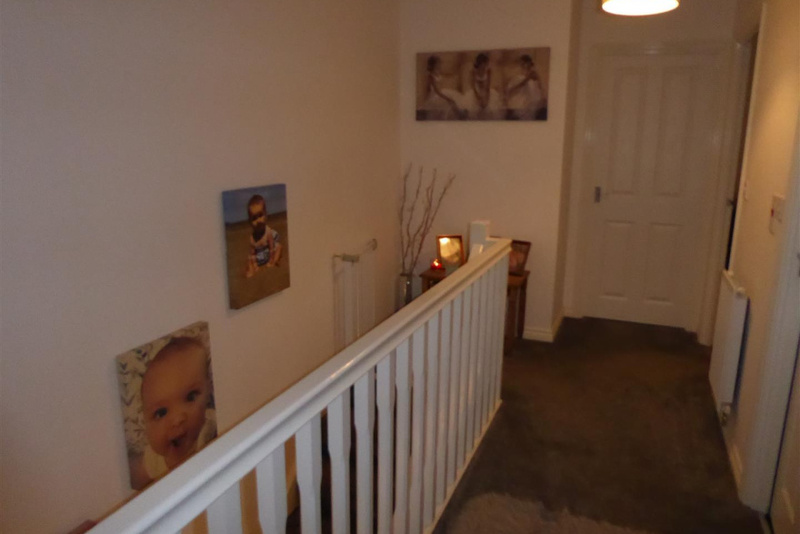 As you continue through the hallway, there is a useful storage cupboard on the left which houses space for a tumble dryer, continue through the door which leads into a great sized family room/ lounge, with recessed lighting, french doors with side window casements, which provide plenty of natural light and lead to the fully enclosed rear garden. 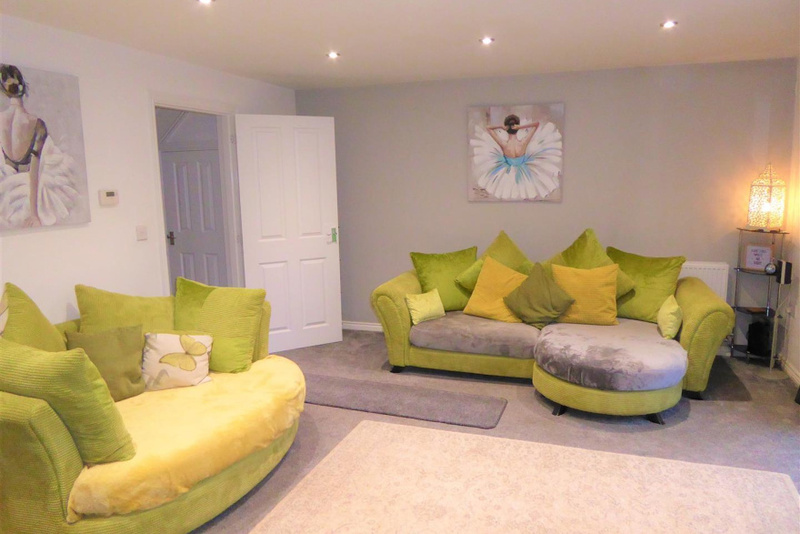 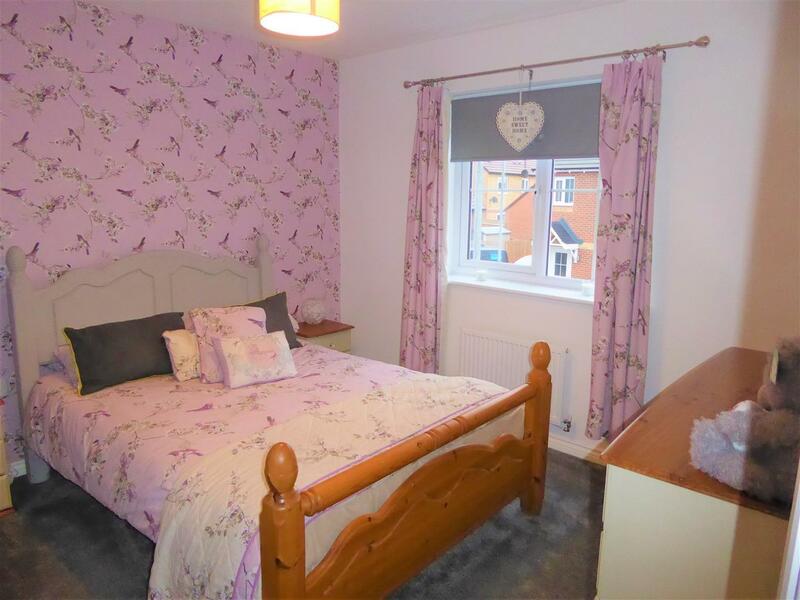 To the first floor, the master bedroom is positioned to the rear of the house and has built in wardrobes, fitted carpet and a fully equipped en-suite shower room with three piece suite. 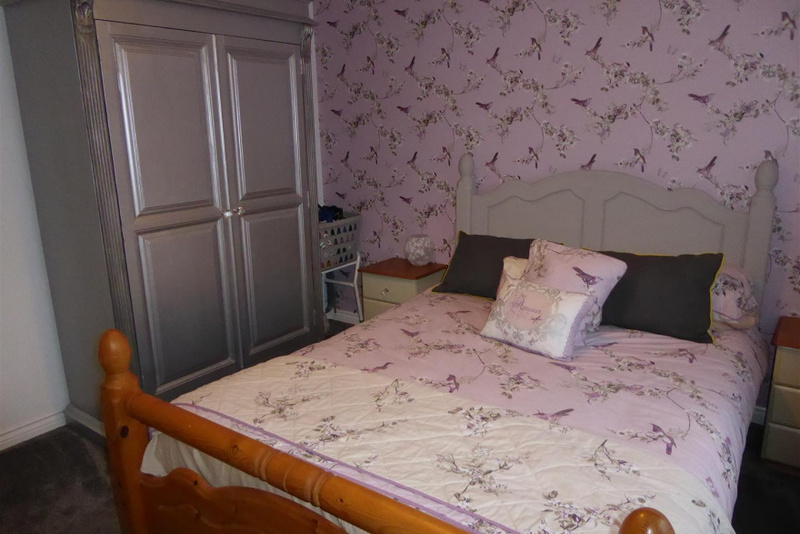 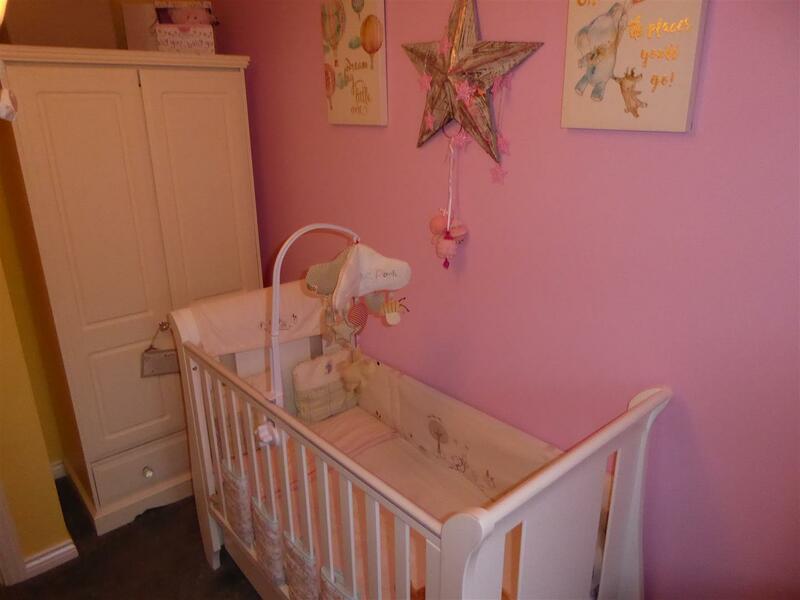 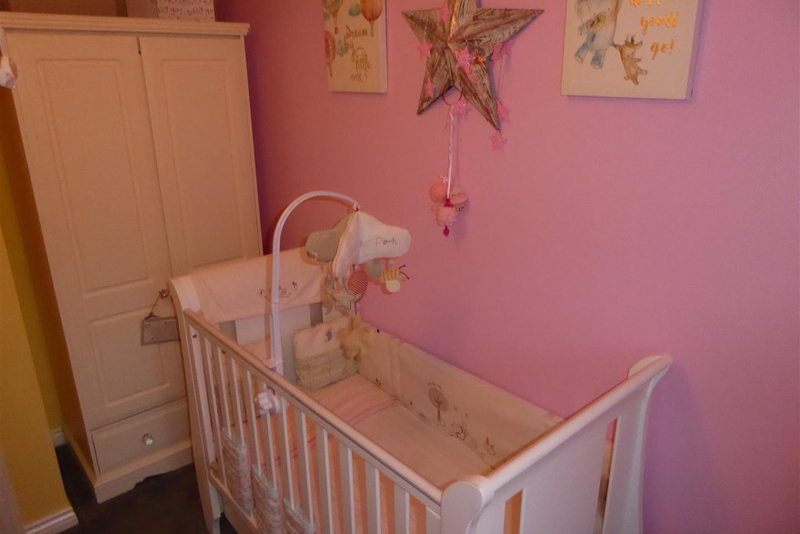 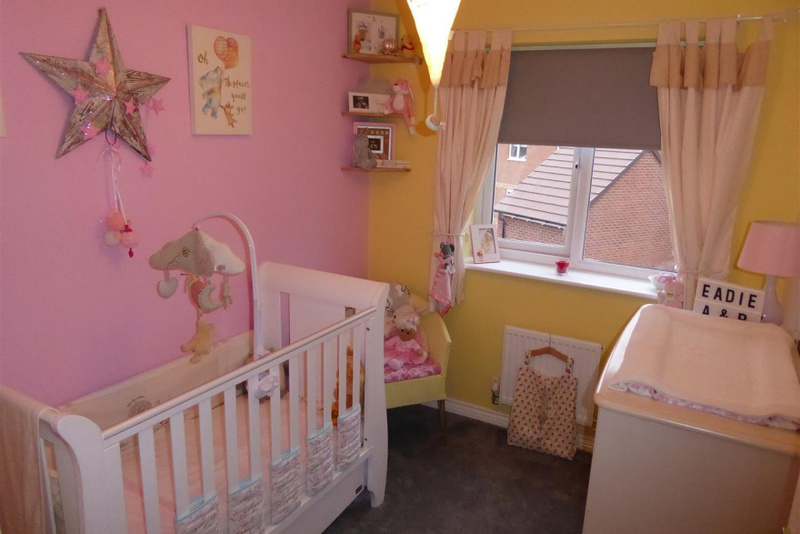 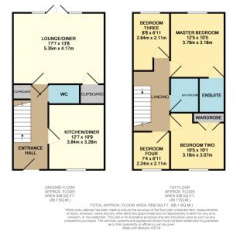 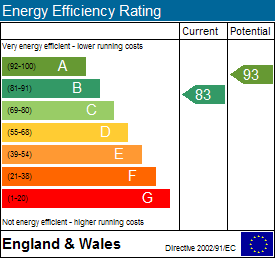 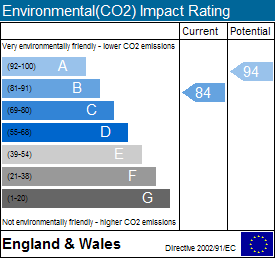 Bedroom two is also a double sized room which is located to the front with fitted carpet as is bedroom three which can be found at the rear, which is currently used as the Nursery, having a recessed area suitable for a wardrobe. 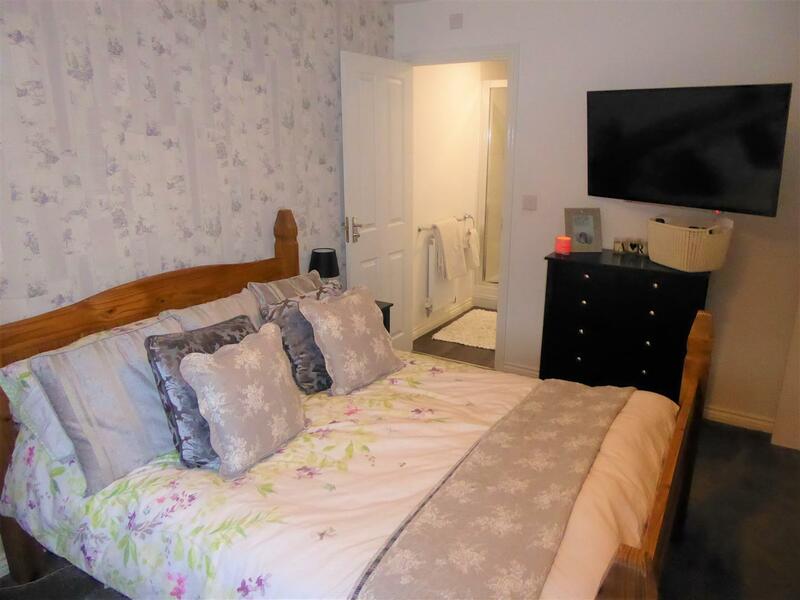 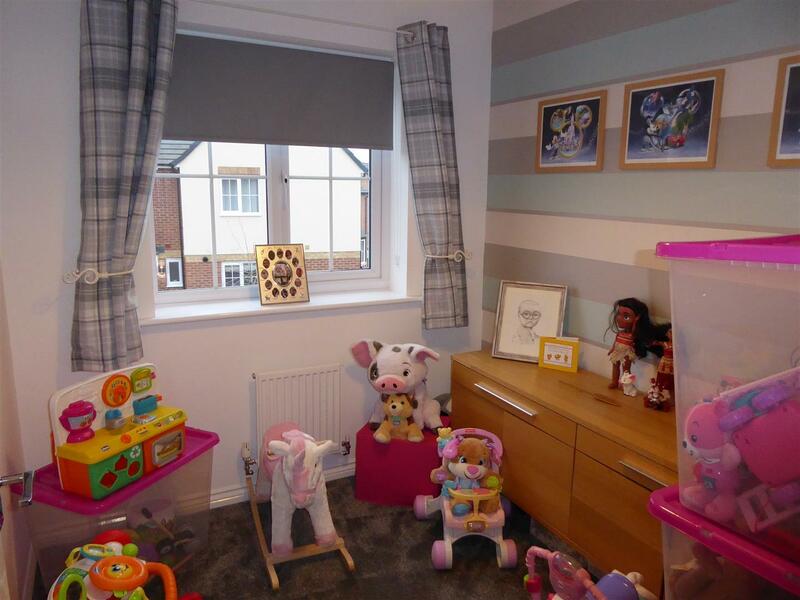 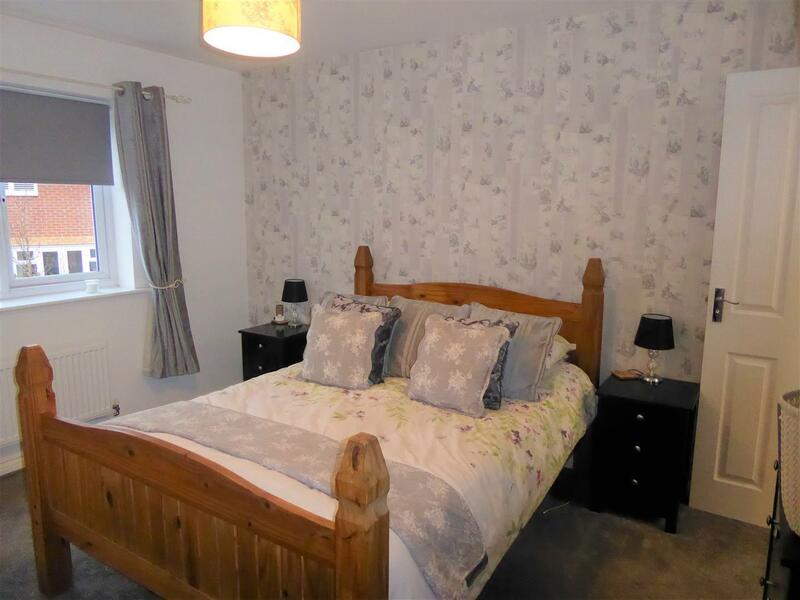 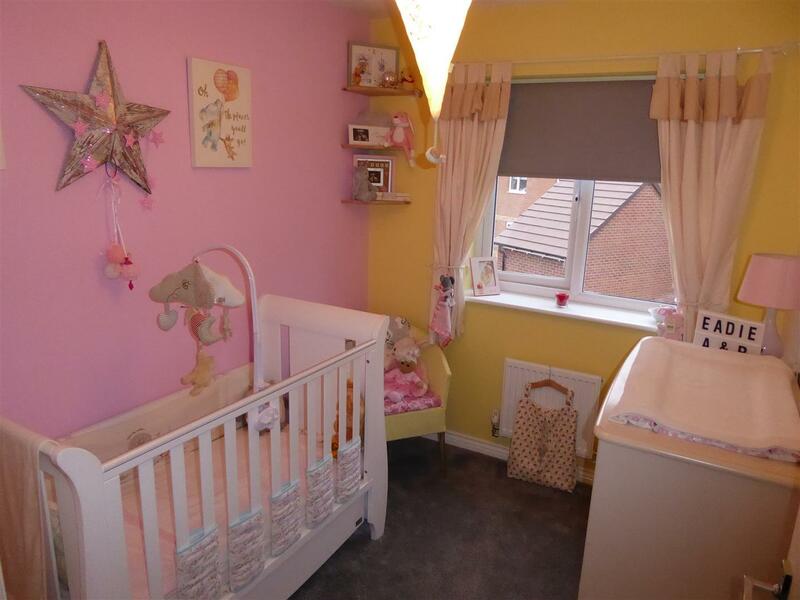 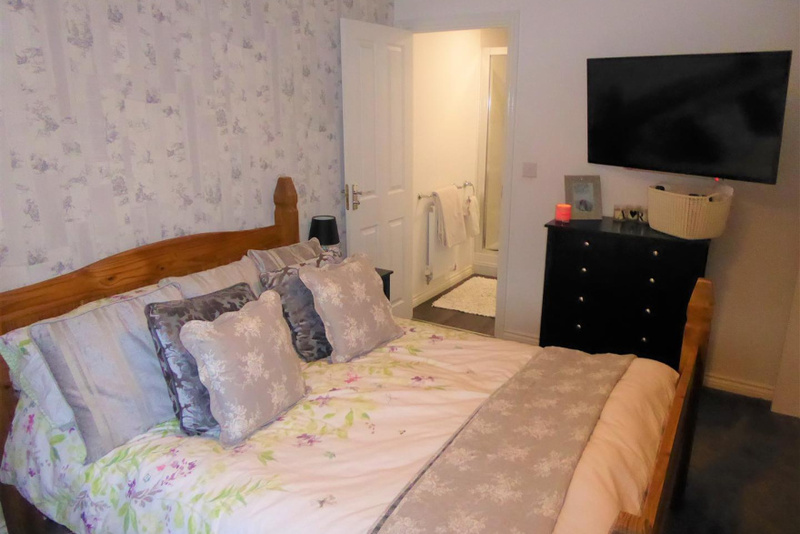 The fourth bedroom is a good sized single, to the front of the house and is currently used as a Play room as this suits the family's current needs. 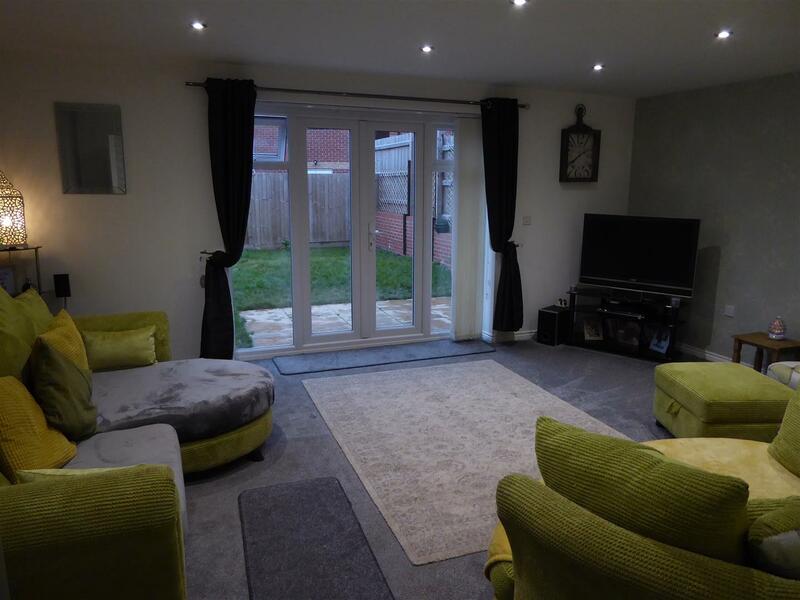 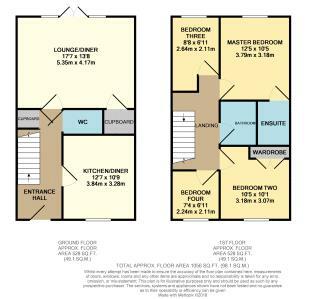 All bedrooms have fitted carpets throughout.. 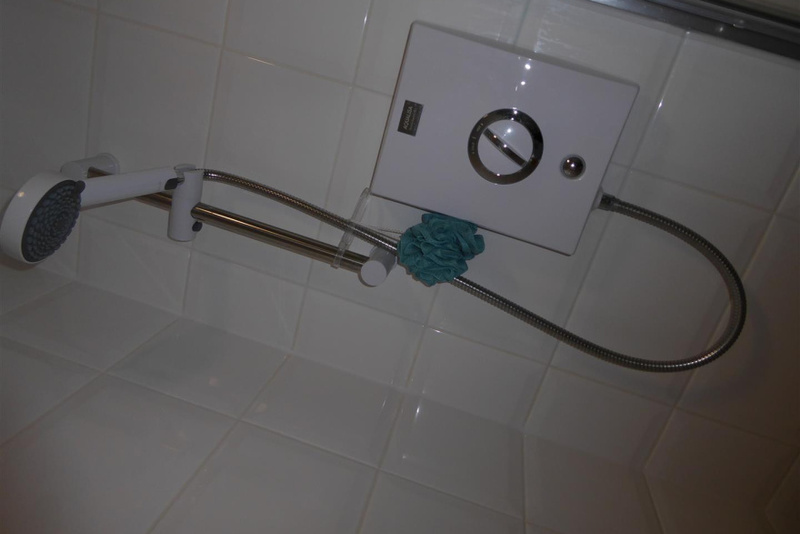 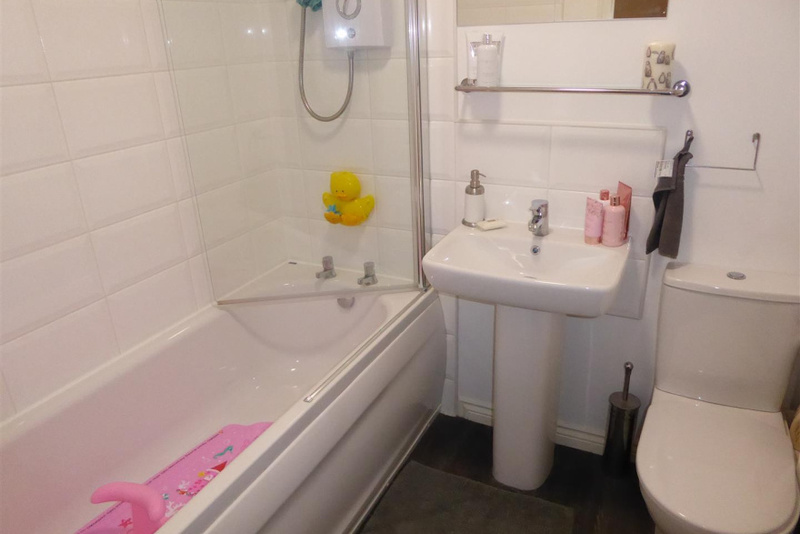 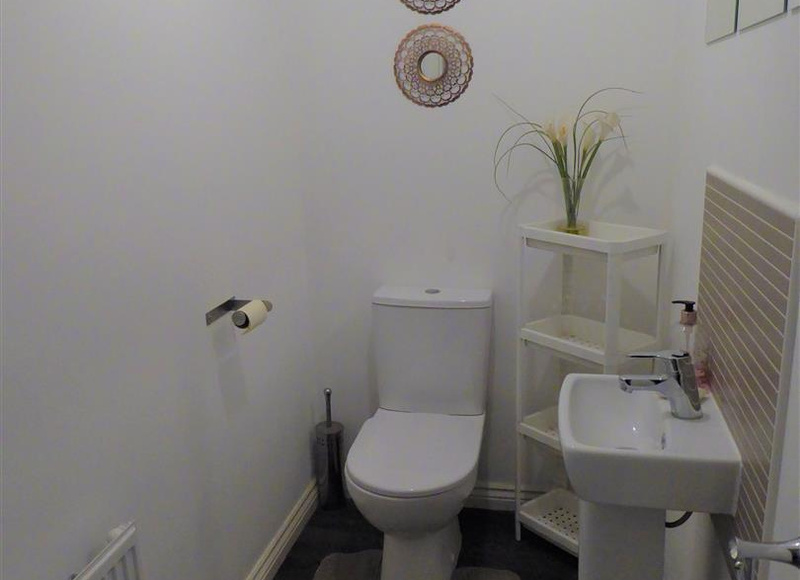 The airing cupboard and family bathroom completes the accommodation off the landing. 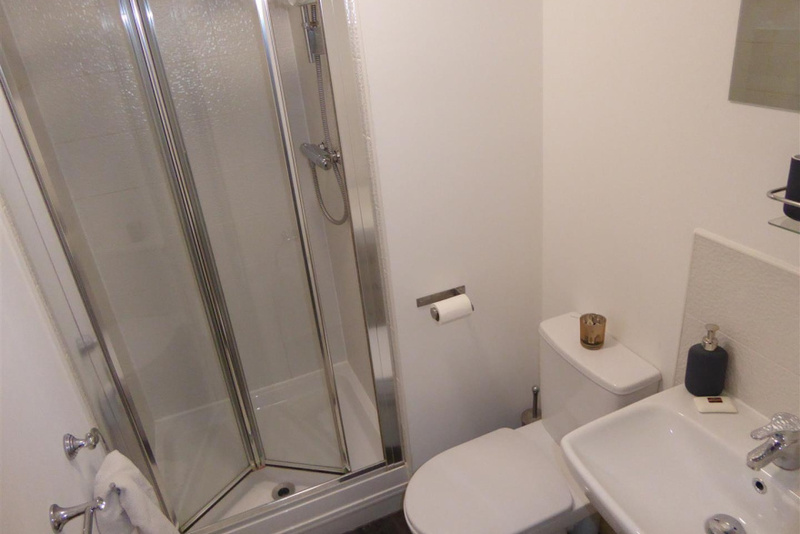 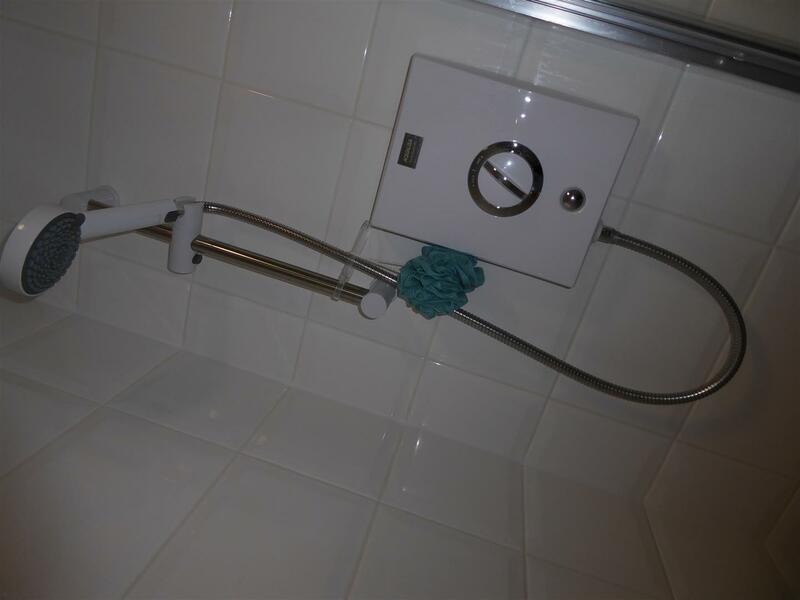 The bathroom has a three piece bathroom white suite with Aqualisa electric shower over the bath, with attractive tiling. 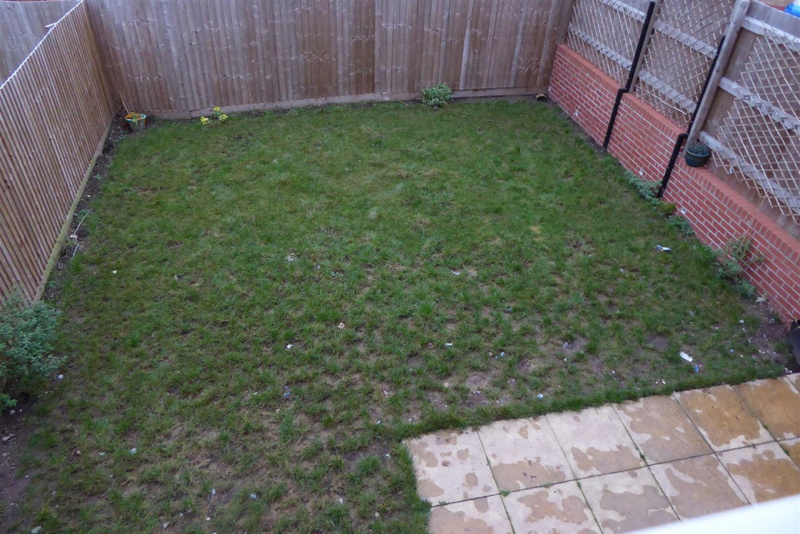 The low maintenance front garden comprises of a coloured gravelled area. 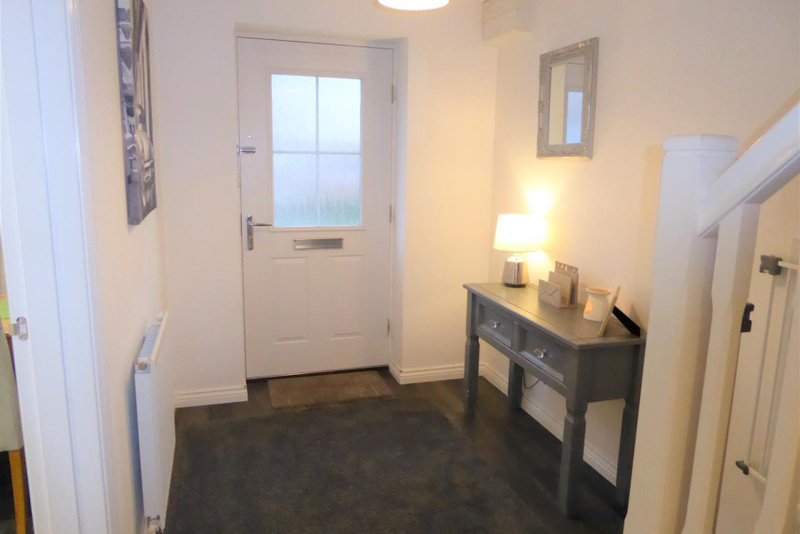 With slabbed pathway leading to the front entrance door. 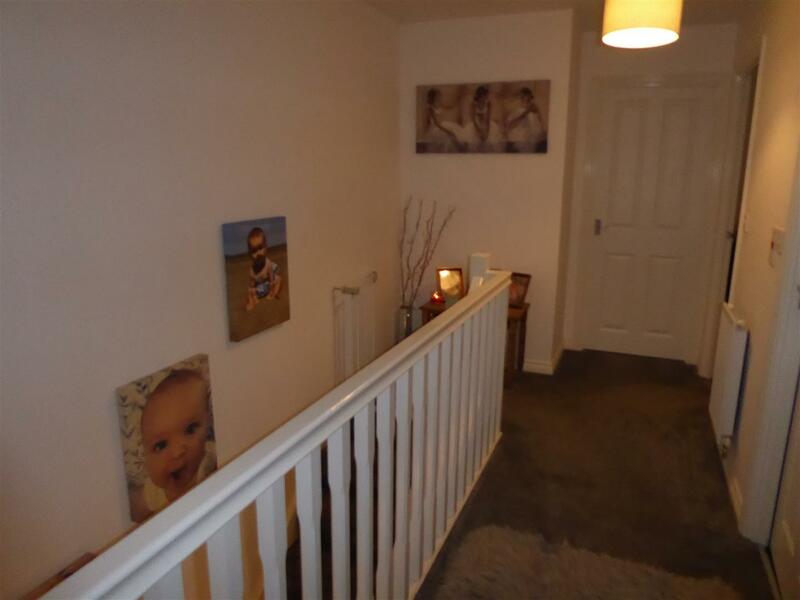 Side path to the left of the property provides gated access to the fully enclosed rear garden. 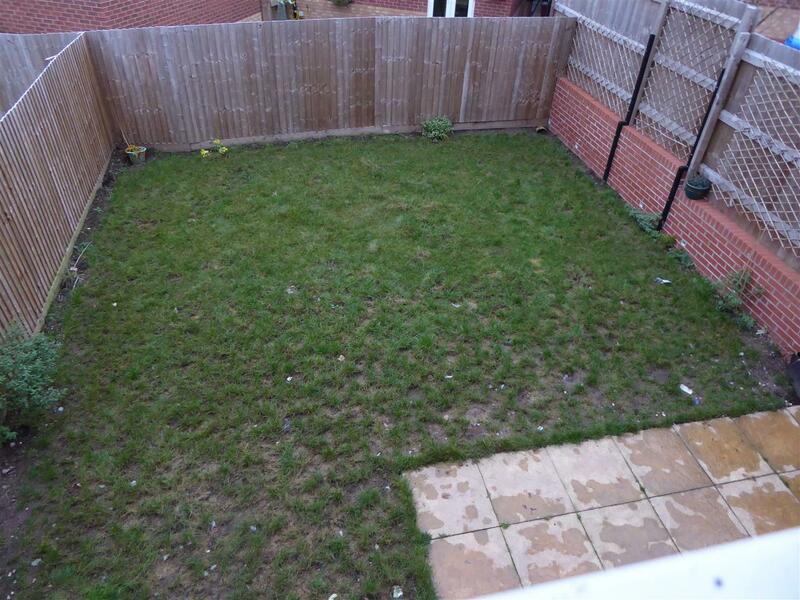 Side pedestrian access with timber gate leads to the fully enclosed rear garden is mainly laid to lawn and benefits from having a patio area, with panelled fenced boundaries .